Cryptocurrencies have quite a lot of potential but also have its own set of troubles associated too. let’s understand one of them which is in news these days. It is Cold wallet. To understand the concept of what is a cold wallet, we need to first understand the concept of hot wallet too. A hot wallet is a wallet which is just like a hot seat, anyone can go off hot seat instantly. in same way funds from hot wallets can go off instantly. Hot wallets are those wallets, which are online and connected to the internet. Like coinbase, poloniex, binance wallets and other web wallets. these exchanges/web wallets are hot wallet, they are always online and hackers can get past their security protocols and siphon funds off from them. Which has happened quite a lot of time. So all wallets that are online are considered as hot wallets. 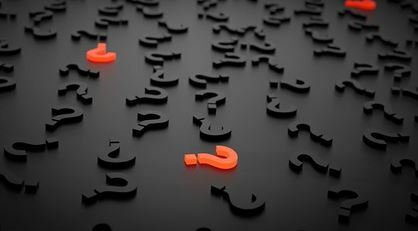 are wallets that are not connected to the internet and are kept offline are termed as cold wallets. Examples are Hardware wallets, Paper wallets, or your PC which is not connected to the internet. They provide protection from unauthorized access, cyber hacks, and other vulnerabilities which a connected wallet is vulnerable of. These wallets are secure since a hacker cannot access them via the internet and so just cannot siphon funds off. What’s the Debate over It? Its all over news these days, A CEO of a company dies while holding the Keys to a cold wallet holding Bitcoin worth $137 Million $. well, that’s a lot of money stuck into limbo now. Why should we care that’s a person’s mistake? Well, There is more to story the company name is Quadriga CX, a Bitcoin Exchange, with 230,000 affected users. Is it now not a pretty big deal. Quadriga CX is a Canadian bitcoin exchange, whose CEO a 30 Yr. Old male Gerald Cotten died in Dec last year while doing volunteer work in an Indian Orphanage/Travelling due to complications of Chrohn’ Disease. He was the only one in the company with access to Keys for Cold wallets of the company. With him Dead, all that money is lying there but cannot be accessed until Private Keys can be found. While the company owes $250 Million to around 230,000 Users of the company. 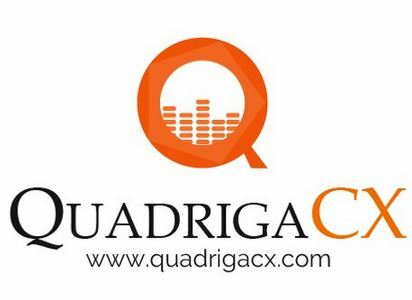 Quadriga CX is one of the top Canadian exchange for Digital assets, whose website is no longer functional due to an ongoing lawsuit where it applied for creditor protection at Supreme Court of Nova Scotia, and the court granted the same via an order. Now the thing of importance here is cold wallet and that without its keys nothing can be accessed in it. Cold wallets are used by most of the exchanges as a part of security mechanism and no wonder we might see some more such cases in future too. This left us again debating about the fact that can cryptocurrency really comply with the legal demands of users, businesses and regulators. What if due to some mistakes your funds go in such wallet and now you cannot access it. the affected person will term this as bad which is kinda happening now. But this event has reminded us all that crypto field has its own problems which needs to be resolved for mass adoption else it will be limited to investors and hodlers only.